We are involved in all stages of the process: from a custom design to the installation. The design can be created based on your ideas or any referrence images. 1. Design - we work per your specific request: whether you have an idea, or any reference images, or specific images for replication. 2. Stone and color selection:every stone jas its own qualities and usage. We help to pick the best option per your needs. 3. Waterjet or handcrafted fabrication. 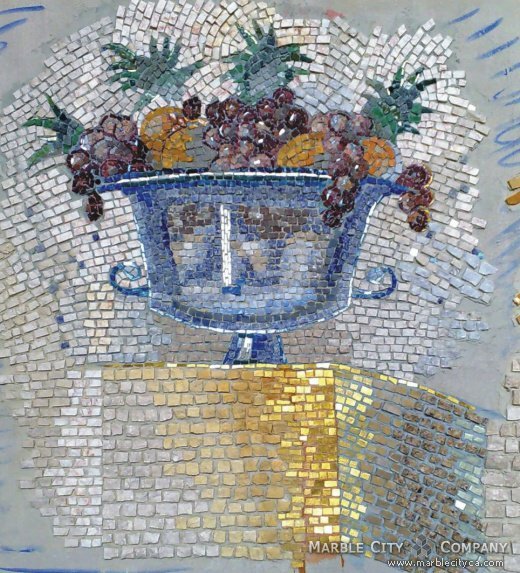 Mosaic: Marble City fabricates handcrafted mosaic in hand cut stone: marble, granite, travertine, limestone and onyx, tile, and glass for interior and exterior, residential, commercial construction: wall murals, architectural elements, accents, lobby entrances, floor patterns. 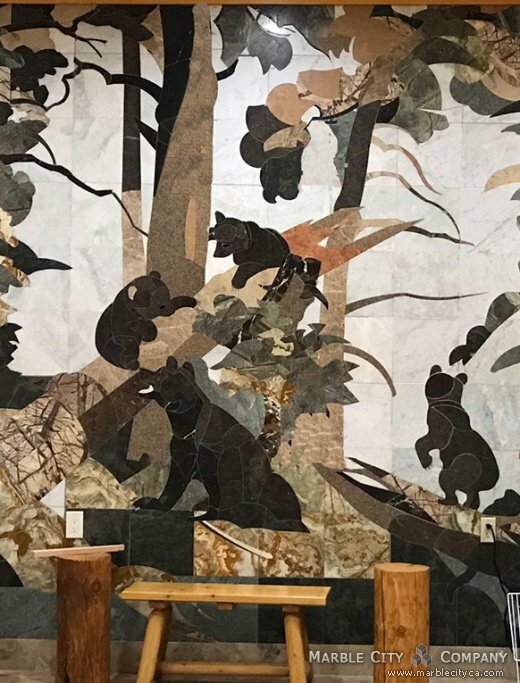 Stone Inlay: Marble City creates custom-designed flooring: medallions, borders, accents and whole floor patterns, wall murals, kitchen and bathroom borders and accents in various styles.